Advocating for “the Resistance” and #resist constitute political activity and could be considered violations of the Hatch Act, the Office of Special Council warned federal employees in a Nov. 27 email. The Hatch Act prohibits federal employees from engaging in political activity while at their workplace, during work hours or in their capacity as a federal official. 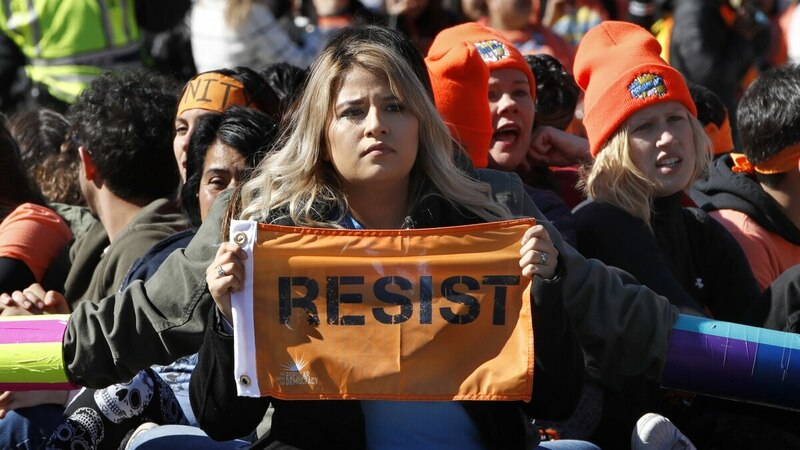 And, according to the OSC, though the recently popularized use of the Resistance and #resist was originally intended to refer to opposing Trump administration policies (which is generally allowable under the Hatch Act), those terms have now been linked with the electoral success or failure of Trump in future elections. As such, promoting them now constitutes a violation of the Hatch Act. More specifically, the guidance told federal employees that “use or display of the hashtags #resist and #resistTrump in isolation, is political activity under the Hatch Act." The email also warned against any discussions of impeachment, either for or against an elected official. An impeachment would prevent the impeached from holding future presidential office, and discussion of such would therefore fall under a politically motivated act. As Donald Trump is the only officially declared candidate for the 2020 presidential race, the guidance only applies to him. The guidance also warned that while criticism of certain policies is not inherently a violation of the Hatch Act, if that criticism has relevance to the success of a particular political party or candidate, it would be considered a violation. In a statement sent to Federal Times, an OSC spokesperson emphasized that the guidance only applies to federal employees while on duty and in the workplace, giving them free rein to engage in political activity in their personal time. But some watchdog organizations claim that the specificity of the advisory has overstepped in attempting to stifle criticism of Donald Trump. “The Office of Special Counsel’s new guidance goes too far and opens a dangerous door for the Trump administration to crack down on dissent. Making it illegal to advocate for or against impeachment of Donald Trump or to resist administration policies like family separation or the Muslim ban could operate as a gag order against whistleblowers and impinge on the constitutional rights of public employees,” wrote Austin Evers, executive director of the accountability nonprofit American Oversight, in a letter to the OSC. And, according to the guidance, situations involving discussions of impeachment, the Resistance or critique of administration policies can ultimately depend on the “facts and circumstances” of the situation to determine whether they violate the Hatch Act.